Natural gas supplies many of your home’s appliances like your stove, oven, dryer, furnace, water heater, and refrigerator and freezer. If your gas line becomes damaged, you may not be able to run these appliances or could lead to safety hazards for anyone in the home, depending on the issue at hand. Additionally, if you’re looking to install new appliances, you’ll need to call a plumber to have the gas line set up to accommodate for an additional appliance, or just have your gas line replaced entirely if it’s not functioning properly. If you’re looking into purchasing a new appliance for your home that uses gas, you need to ensure that it can use the type of gas that’s in your home. There are two types of gas, natural and propane, each with different advantages and disadvantages. Choosing between propane and natural gas is usually a matter of which one is more cost-effective for your home, and the cost-effectiveness of your choice is dependant on what appliances are being used and where you live. Since natural gas and propane are flammable, gas line services require the work of an experienced professional and often times you will need to go through a permitting process through your city or county in order to get the service approved. However, if you think that your gas line may need repairs or replacement, you should first contact your local plumbers at High Tech Plumbing, we’ll walk you through the whole process of uncovering the issue with your gas line, help you complete paperwork in order to get the job done legally, and repair or replace your gas line if the situation calls for it. 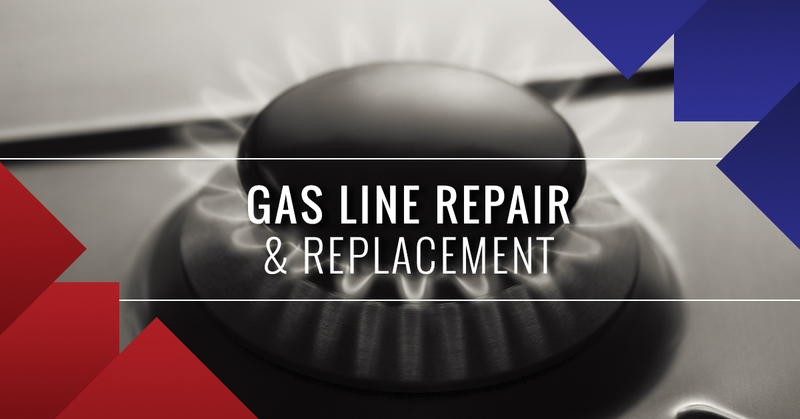 Like most aspects of your home, gas lines need repairs, replacement, and general maintenance at one point or another in order to keep your home safe and your appliances in working condition. Over time, gas lines will corrode and components can break after extended use. At High Tech Plumbing, We’ll take care to provide you with the most high-quality components and services that will make your gas line last and take the steps necessary to make your home safe. Emergency situations are prone to happen when dealing with propane and natural gas. If you suspect that there is an issue with your gas line, that it may be leaking or broken in any way, you should immediately evacuate your home and contact your local fire department and gas company. This can be caused by damage to the gas line, poor installation, or defective components that result in loose connections. Although not all gas line issues are serious, it’s important to take all safety precautions in the event that there is a serious issue. Contact your expert plumbers at High Tech Plumbing and request an appointment. We won’t cut corners when it comes to providing you with high-quality plumbing repairs, installations, replacement, and general maintenance.